At the Piatchek Law Firm, our attorneys understand that you have worked long and hard to acquire your assets, and it is crucial that those assets be protected. We can ensure that your assets are able to provide for you and your family for a few years, a few decades, or even a few generations through asset protection planning. After working so hard to accumulate assets to provide security for your family, you never want those assets to be at risk to business or personal creditors, medical costs, potential litigants, or professional threats (for those in high-risk industries). Having a solid asset protection plan in place can reduce the risks associated with these types of situations. 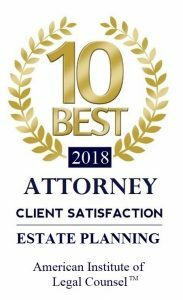 Our qualified and compassionate attorneys can guide you through the process of estate planning and asset protection, as well as business planning when needed. We routinely handle simple-to-moderate asset protection techniques and planning. In addition, for those clients with a high net worth or special asset protection concerns, we have established relationships with attorneys located throughout the United States with whom we can work closely to address advanced concerns, such as international asset protection, overseas asset protection, offshore trusts, and Swiss banking. Thorough asset protection can help preserve assets from future creditors. 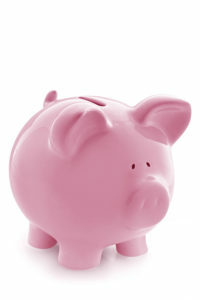 However, if a creditor already exists, asset protection is much more difficult and cannot always be completed properly. If you transfer assets after a creditor already exists, the creditor could attack and attempt to “undo” your transfer as a “fraudulent conveyance.” In addition, if you are still in the accumulation phase, you certainly don’t want to go back to square one and start over because of an issue with a lawsuit or creditor. However, you may be able to proactively plan now for creditors that do not exist or cannot yet be foreseen. By examining your estate and any related documents, our firm can work with you to craft an asset protection plan that suits your goals and needs. It is possible to use trusts and business entities, as well as a number of other tools, to protect your assets and preserve what you have worked so hard to earn. Dealing with asset protection, business planning, estate planning, and Medicaid planning can be overwhelming for individuals and families faced with circumstances that create those needs. Being prepared can ease your mind during difficult times. Because each client’s situation is unique, we spend time discussing planning options with our clients, and we make it our goal to structure your plan in accordance with your wishes. It is important that business assets and personal assets be separated when dealing with asset protection for business owners. This can ensure the future of the business while allowing you to plan for your personal future as well. If you or your spouse need long-term care but are worried about qualifying for Medicaid, you do not have to lose your house or spend down all of your assets. It is possible to pay for nursing home expenses and still preserve your home and certain assets for the healthy spouse. You have spent a lifetime working to acquire assets to provide for your family. As you age, you should not have to liquidate those assets to cover business expenses, debts to creditors, medical costs, and nursing home expenses if you have an asset protection plan in place. Our attorneys can guide you through the process, answer your questions, and put your plan in place. Please contact our offices to arrange a confidential consultation. Evening and weekend appointments are available upon request, and we can arrange a home visit if you are unable to travel to our offices.